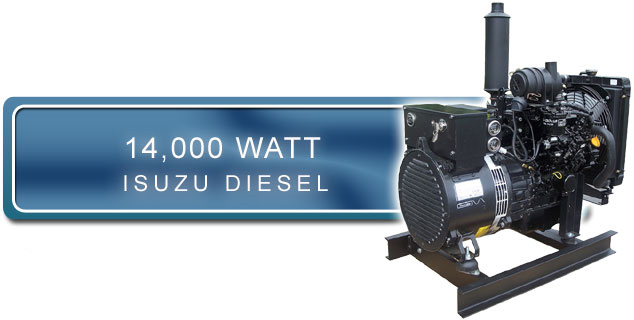 Isuzu 14 kW 1 Phase Diesel Generator - Whether for a work site, cabin, lodge, or standby emergency power, this Isuzu diesel will do the job every day. Day after day. This unit operates at 1800 RPM and with its residential grade muffler, deep stiff crankcase, isolated valve cover and 4 point vibration mounts, this set runs smooth and quiet. 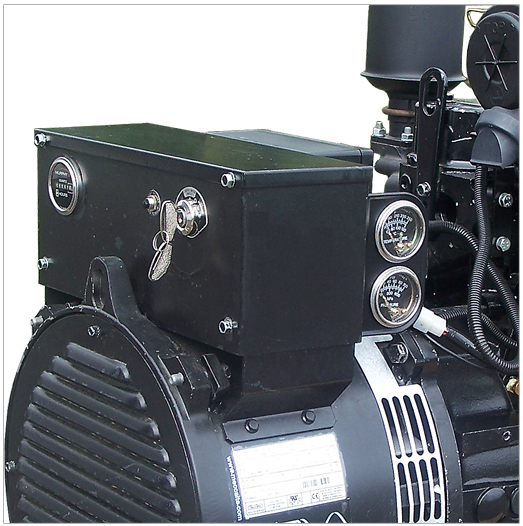 Lowest operating cost per watt. Best overall value in its class. 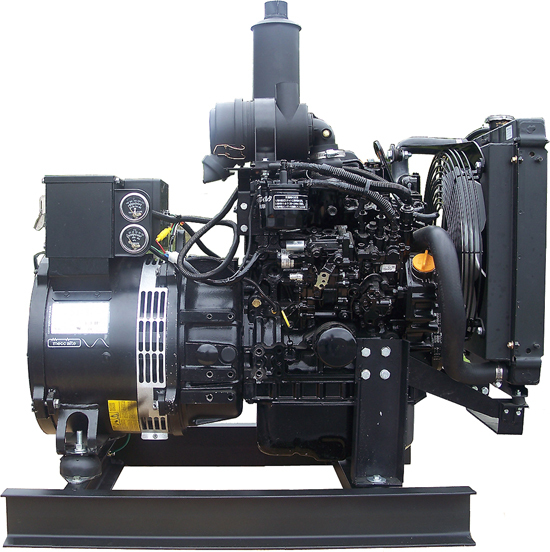 This unit features a Isuzu 1.6L in-line 3-cylinder diesel engine, brushless generator end, cool flow radiator with fan guards, residential muffler, automatic voltage regulation, high volume air filter, muffler, key start switch and hour meter.